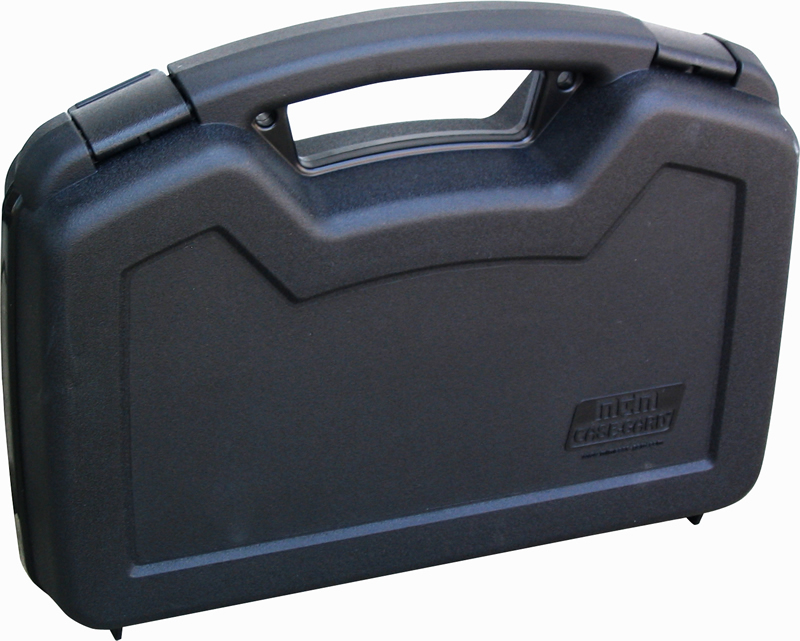 Case offers durable construction, stylish design, reliable snapping latches and a large comfortable handle. Made of rugged polypropylene with a scratch resistant finish. Thick foam padding and double padlock tabs are provided for the utmost in protective security. Thick enough for a trigger lock when traveling. Approved for law enforcement travel. Padlocks not included. 807-40 For Automatics and scoped revolvers with barrel up to 6". Room for trigger lock(Not included). Outer dimensions: 13.1"x 9.7"x 3.2"
Inner dimensions: 12.5" x 8.1" x 3.0"